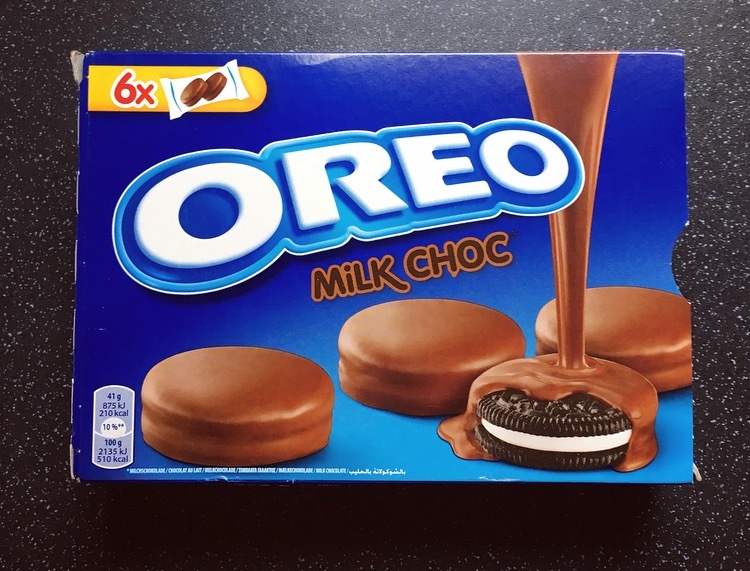 Standard Oreos are readily available here in the UK however anything jazzier than the Original, Golden or Double Stuff are either non-existent here or are imported and cost an absolute fortune. Today’s review is all down to the fact that I got a delightful foodie goodie bag following my Dad coming back from abroad! What is better than an Oreo cookie? A chocolate covered one of course! Enter Milk Chocolate Covered Oreos. Don’t these just look yummy, just look at that thick coating of chocolate! I don’t know if it is because they are packaged in two’s but until I cut them open they looked a little on the thin side. 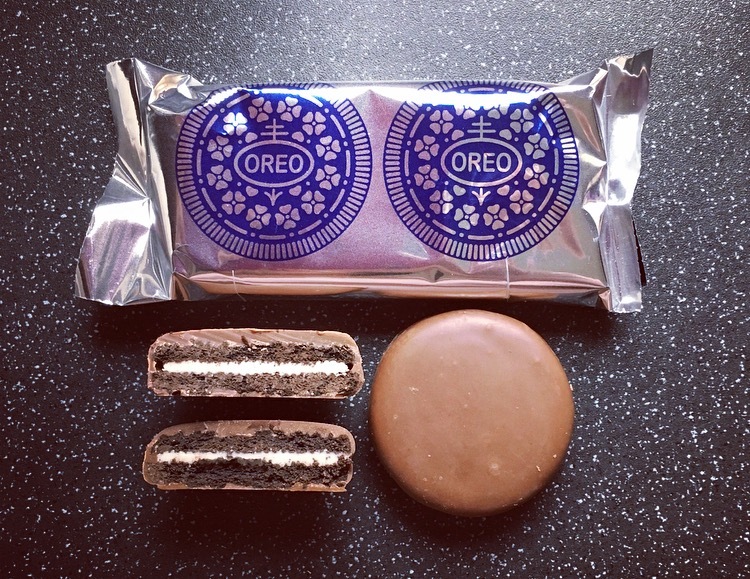 I recall thinking the UK Peanut Butter Oreos were skinny minnie, are the ones in the general wrappers thicker or are they usually this thin and I am going doolally?? The milk chocolate was thick and creamy and above all, surprising good quality, it tasted of actual milk chocolate, none of this cheap quality nonsense. The Oreo was exactly how Oreos should be, they usually have a strong and dark coco flavour but here this was slightly overshadowed by the sweet milk chocolate coating. This is not to say you cannot taste the Oreo, you can, it just takes a bit of a back seat. The crunchy texture of the Oreo against the thick milk chocolate is a lovely combination and makes these rather moreish. All I can say is thankfully these are packaged in twos! If you come across these Milk Chocolate Covered Oreos they are a delightful alternative to a standard Oreo and certainly worth a try. They are even more delicious dipped in hot chocolate! 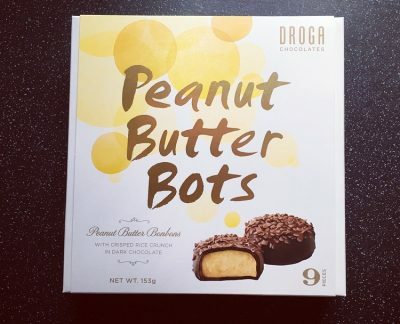 I am hoping they have these when I go away. The White Chocolate ones more so. I also love Panrico Donuts from Spain and Maxibons (I have heard they have recently brought out a white chocolate one over there also). 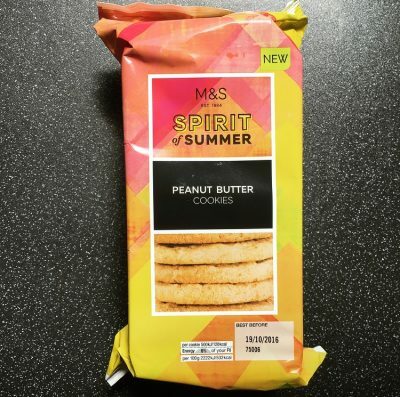 Meanwhile the UK just gets bombarded with peanut butter products which many (myself included) can’t even have.